Like I legitimately go bananas over them. And they're here. THEY ARE HERE. 99.5 is playing Christmas music. I have pecan pies in the oven, cookies on the table and my family is slowly trickling in. The holiday season has arrived. I don't think you understand how happy this makes me. But I am REALLY REALLY REALLY happy right now. Babies are being tended to by family... I mean just look at these nuts... they're pretty happy about life right now. It's going to be a great weekend folks. Simply amazing. Anyways, lots of firsts. Babies' first Thanksgiving. Momma's first Turkey Trot (& my first 3.1 mile run post-babies... we'll see how that goes). First thanksgiving with both sets of parents. Babies first Christmas tree is going up FRIDAY. We have a lot to be thankful for this year, that is FOR SURE! I hope you and yours are counting your blessings this year. I know that for some, the holiday season is a hard one. For some of you this is a first Thanksgiving without a beloved family member, a child, a parent, a friend. Or perhaps you have a friend and family member fighting for their life right now. I know we have many friends with children or parents fighting cancer this holiday season & I just can't imagine. UGH. And just so you know, you are not forgotten. We are praying peace, hope, and joy over you despite your time of grief. You are not forgotten - you are not overlooked. We are interceding on your behalf and praying that this holiday season will be one of joy and peace despite your circumstances. 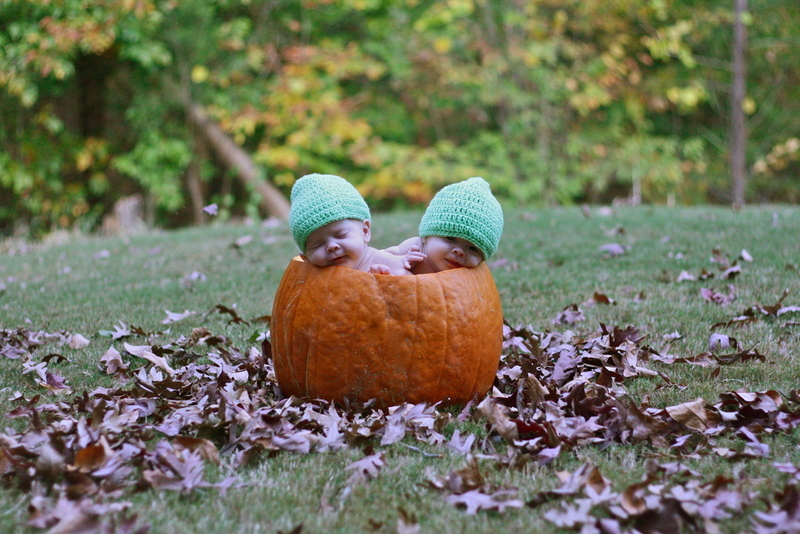 Posted on November 21, 2012 by The Sassy Salmon and filed under Family, Food, Things I love---, Twinsies and tagged Fall Family Food Holidays Things I love--- Twins.